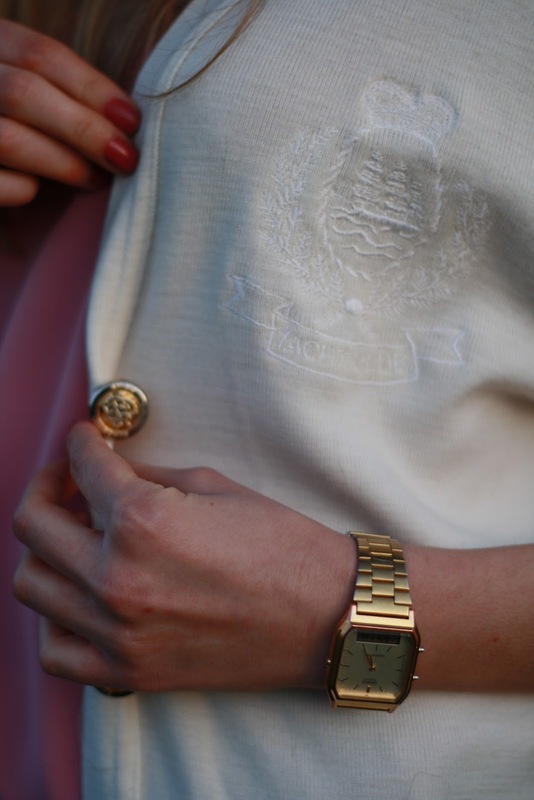 I love the emblem on this cream cardy and I chose a range of gold accessories to bring out the detailed buttons. My watch is a retro men's Casio and it is sold in loads of shops including Urban Outfitters and American Apparel BUT it is about half the price in Argos which is where I got mine. There is absolutely no difference so don't pay more than you need to!